A midday flight the day after the third Schwetzingen concert took us to the former east German city of Dresden for the Dresden Music Festival. 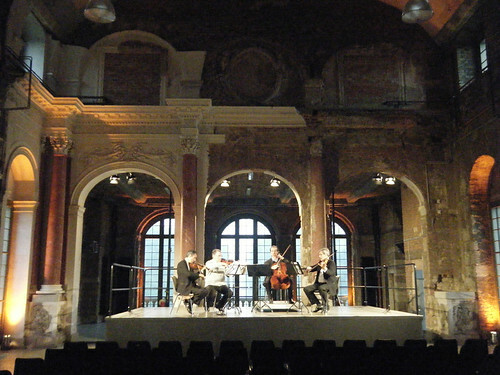 We played in an extraordinary venue – a bombed-out palace in the middle of a vast park just outside the city. 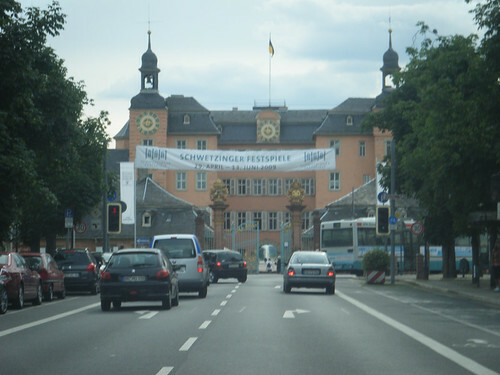 Known as the Palais im Grossen Garten, it is the first Baroque building in Saxony and one of the earliest on German soil. 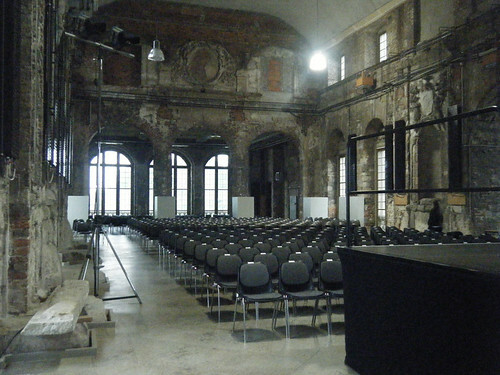 Almost completely destroyed by bombing in 1945, the upstairs is now used for concerts and other events. A packed audience, which walked great distances from all directions to reach the palace through the park, was wildly enthusiastic. After the concert we dined with Jan Vogler as he kept a director’s eye on an orchestra concert taking place at the headquarters of one of the festival’s major sponsors, Volkswagen, in the lobby of the company’s spectacular headquarters known as the Gläserne Manufaktur or Transparent Factory. 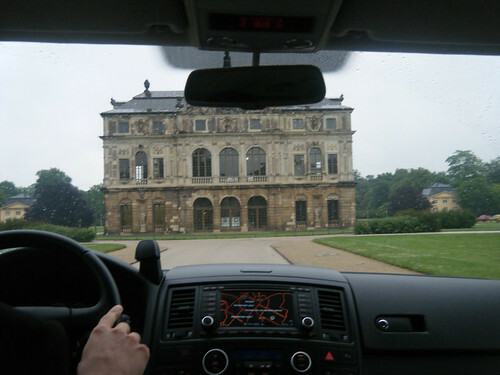 It is the place where Volkswagen’s luxury car, the Phaeton, is literally built by hand. 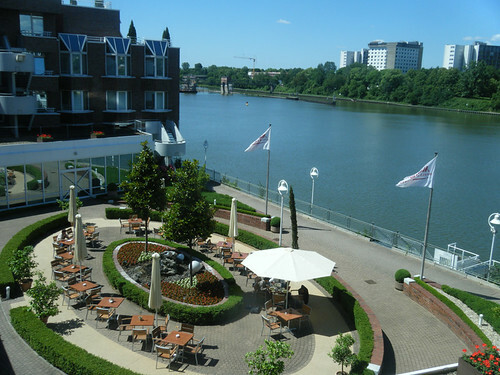 After the concert, the audience is invited to dine and dance into the night. 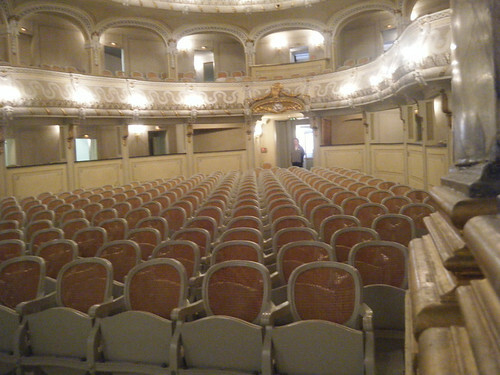 The Emerson Europe tour started on May 27 with three consecutive concerts, different programs, in the Schwetzingen Festspiele. 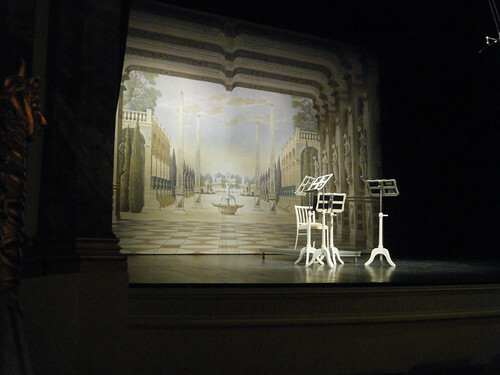 The concerts are held in the charming but brutally dry acoustics of the Schwetzingen palace’s Rokokotheater, built in 1752, and host to musicians ever since including Mozart who played there seven times. 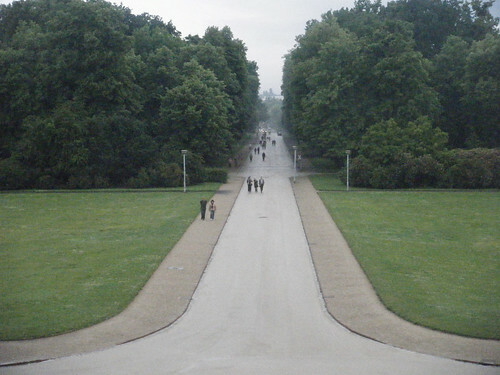 The Schwetzingen palace, originally built as a summer home, has formal gardens unequalled in Europe. The strains of performing three different programs in a row took their toll on the quartet during the second concert when I inadvertently took a repeat in a Haydn minuet four bars early and, for the first time in thirty years, the Emerson Quartet ground to a horrified halt as my colleagues tried unsuccessfully to figure out how to pull it together. Beginning again, we gave the radio a completely successful movement for broadcast, but requested for our amusement a recording of the outtake, somberly delivered to us by the astounded engineer who labeled it “The Fault”. The recording, while I have not yet been able to stomach listening closely to it, has already provided opportunity for endless jokes amongst us and tearfully hysterical listening sessions from my colleagues. The moment will undoubtedly find a place someday in the Emerson Hall of Fame, among a handful of other underwhelming moments from an overwhelming career. Incidentally, the program book at Schwetzingen contained a picture, dated 1800, of a string quartet with three members standing. So we are far from the first, and there is certainly a historical precedent. 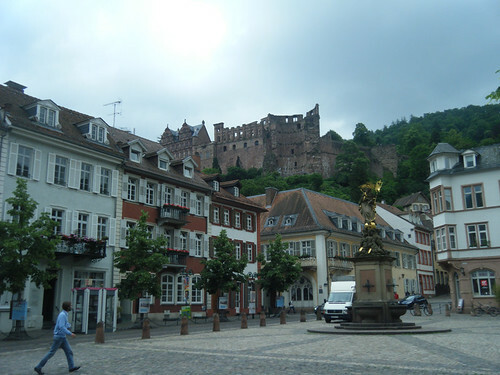 For want of an elevator and air conditioning, I elected not to stay in the quaint hotel near the palace, but at a hotel in nearby Heidelberg, spectacularly beautiful, and very same hotel in which we all stayed during the week of recording the Schubert Cello Quintet with Rostropovich. Being, needless to say, brought back many memories of one of the most intensely wonderful experiences of my life. After the Bard College ceremony we headed across the Hudson to Shokan, NY, the home of composer George Tsontakis, whose sonata we recently premiered. After driving his backhoe, with which he dug his own pond, we had a great steak dinner in front of his 2-mile view, a good night’s sleep in his guesthouse, and a great pancake breakfast at Sweet Sue’s in nearby Phoenicia, where George made final edits, according to our performance parts, of the sonata before publication. On Saturday, May 23rd, the members of the Emerson Quartet were given Honorary Doctor of Fine Arts degrees from Bard College. The degrees were given by college president, Leon Botstein. For more photos, check out our flickr set. The song by Schubert, sung by the great baritone Dietrich Fischer-Dieskau, serves up stunningly beautiful examples of intelligently varied vibrato within a single small work, and shows the range of speed and width with which we’ll begin vibrato work. The technique I’ll use for measuring vibrato speed. You should understand this before going further. Hopefully this is clear. Audio and video samples of great vibratos, setting our expectations very high.